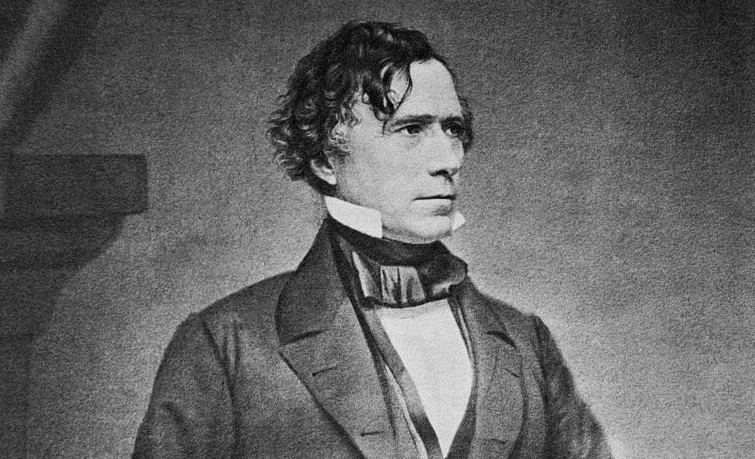 Franklin Pierce:- Franklin Pierce (November 23, 1804 – October 8, 1869) was the 14th president of the United States (1853–1857), a northern Democrat who saw the abolitionist movement as a fundamental threat to the unity of the nation. He alienated anti-slavery groups by championing and signing the Kansas–Nebraska Act and enforcing the Fugitive Slave Act. Born on November 23, 1804, in Hillsborough, New Hampshire, Franklin Pierce was the son of Benjamin Pierce, a hero of the American Revolution who was twice elected governor of New Hampshire. The younger Pierce graduated from Bowdoin College in 1824 and began studying law. A member of the Democratic Party and a steadfast supporter of Andrew Jackson, Pierce began serving in Congress in 1833. In 1834, he married Jane Appleton, the daughter of a former Bowdoin president.